Intensive one-day reed making workshops for advanced players. Easy to understand fuss-free instruction with experienced teacher and professional oboist, Matthew Draper. New Easter workshop dates in Sussex are filling up - Book Now! with a method to stick to and clear guidelines on how to organize simple reed making tasks, oboe reed stress is a thing of the past. My workshops are experiential and informative with an emphasis on efficiency in reed making and an increase in success rate. After attending, you can expect to be confidently tying on consistently well-­‐‑constructed reeds and rough scraping to a high standard. You will have learnt details about cane, staples and shapes. You will feel comfortable with knife handling and I guarantee you will be producing airtight reed blanks. You will also cover knife maintenance. Building on the Beginner workshop this deals with scraping reeds in detail, and works towards finishing off reeds for use. A more intense focus on knife technique will lead to a balanced heart and tip, and even smooth knife stokes ensure a free blowing reed. 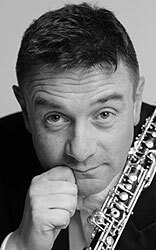 I am a consultant oboe reed specialist and have held faculty posts in London at the Royal Academy of Music, the Guildhall School of Music and Drama and the Royal College of Music. I am a member of the Irish Chamber Orchestra and have also performed with the London Philharmonic Orchestra, the Philharmonia Orchestra, the Royal Philharmonic Orchestra, the Ulster Orchestra, English National Opera Orchestra, the City of London Sinfonia and the Bournemouth Symphony Orchestra. I have played for countless musicals and currently work in West End productions of Miss Saigon, Wicked and Les Miserables. I have played on the Harry Potter films, The Lord of the Rings, Maleficent, Interstellar, Phantom of the Opera, Arthur Christmas, Seven Psychopaths, and many other film scores during the last year. I really enjoy encouraging people to make reeds and I am passionate about showing oboists that reed making is not rocket science. Limited to 8 students per workshop. All workshops include 10 gouged and shaped canes and detailed take away instruction books. Partnering with Howarth's we can include a reed making kit for the workshop. (Gregson 5 knife, mandrel, and 2 plaques) A saving over 10% on advertised prices. Terms and conditions apply to booking. 24 hours notice for cancellation. Full fee payable on booking. ©2015 Matthew Draper. All Rights Reserved.